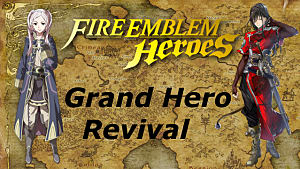 A 'tiny' game called Fire Emblem Heroes was released on February 2, 2017, roughly 2 months ago; it has been going strong ever since. Make no mistake: this isn’t by accident. A lot of Fire Emblem Heroes’ success is attributed to multiple things, each of which serves multiple masters. 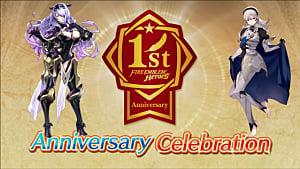 Fire Emblem: Heroes started off in the fast lane for success. 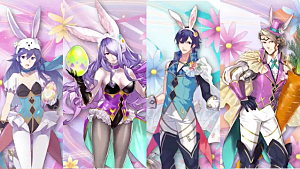 Fire Emblem Heroes has gorgeous art. 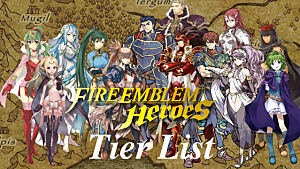 Fire Emblem: Heroes is helped by its genre. Turn-based strategy games are generally some of the easier games to play on mobile, because their control scheme is mostly menu based. Moreover, it is a good game. That tends to make people want to linger. 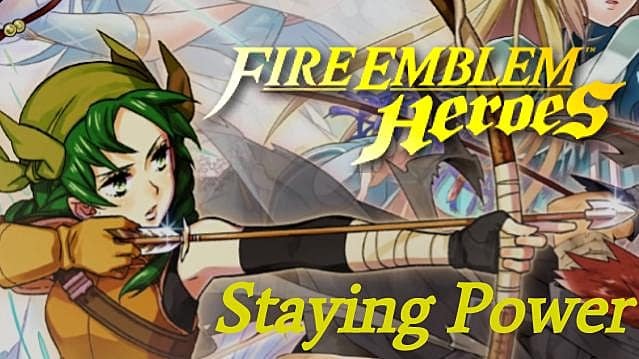 The game successfully distills the Fire Emblem experience into a smaller package with some genius game design tweaks. Characters can’t use multiple weapon types, so you are forced to utilize the weapon triangle to your advantage. Each character has their own unique weaponry and abilities instead of just being a unit of a particular class, like in mainline entries. Chance plays a much smaller role, ensuring that strategy is king. Smaller maps ensure that the more focused strategy aspects don’t potentially become overwhelming. Nintendo has a strong following. I know, I know. That is a pretty controversial thing to say, but I really think they are going to make it big one of these days. Just you watch. Once they learn to make a real console -- unlike the WiiU -- they will be huge. Lon'Qu for all my female Fire Emblem readers. But it is not just Nintendo that has a strong following; Fire Emblem has grown in popularity a lot in recent years. So much so that it seems to be one of Nintendo’s premiere IP’s. Thanks to Nintendo’s strong handheld presence and support throughout the years, it feels natural to have their games in your pocket. (That's why people said,"Nintendo should get into the mobile marketplace!" for years. That and the WiiU's slow spiraling death.) Heck, only 2 of the 9 stateside Fire Emblem releases have been on consoles. Intelligent Systems has made-- and continues to make-- a lot of intelligent (See what I did there? Never miss the chance to ruin your own innuendo.) adjustments to the game since its release to ensure that it will stay fresh and fun. Ninian is a dragon, a dancer, and my bae. Since release, there have been many events. An event that rewarded you a character upon completion ended just a few days ago. There have been 4 of such events in total. Last but not least, a whole system that allowed characters to inherit abilities from other characters was added. This drastically increased the amount of depth, customization, and replayability the game has to offer. All of this doesn't even include some of the smaller additions that have been made. Kickass dragon girl is kickass. The developers have also done a good job fixing the game. They are adding a feature that allows you to move your units around between the predefined starting positions on the map. (Currently, you might start a map and have units in horrible positions that could potentially cost you the match.) This fixes one of my major gripes with the game. They also changed how many hero feathers -- which are used to rank up characters for some reason -- you earn from the Arena to help ease the slow grind (although it is still pretty damned painful). Fire Emblem Heroes is an F2P game. At its heart, some of its conventions have been potentially problematic. But IS has helped ease a lot of the F2P concerns by reducing many of the hurdles and penalties inherent to the genre. Orbs, which are used to purchase characters, are regularly given out freely. 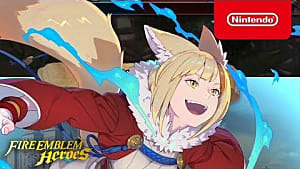 And the aforementioned addition of various free characters and missions (which also reward orbs) help ensure that you are at least getting some good heroes for your trouble. The stamina cost to play levels in the training tower has stayed at half cost since the game was released. And soon the max stamina will be increased from 50 to 99. All you need to do to make a hit mobile game is, create a good game that is based on a popular IP, while continually adding high-quality content, fixing existing flaws, and never allowing its F2P roots turn into parasitic cancer. Simple right? No, but Fire Emblem Heroes proves it can be done.